When Madoka learns that her parents won hundred million yens at the lottery, she does not believe her ears. But while she begins to dream about a princess's new life, she meets to live only in a small appendix of the house of the family Asagi... For Madoka, a new life begins. 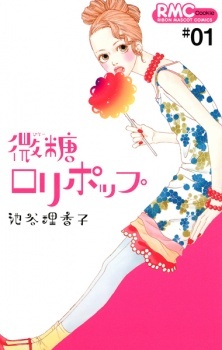 I started reading this manga because I'm a fan of Iketani Rikako's work. As always, it didn't disappoint me. Story(8): It's good. There are some predictable and unpredictable moments and you won't be able to stop reading. Art(9): Those who know about Iketani Rikako's works are used to her art. I personally loved it from the first moment. It's unique and refreshing, not typical shoujo. Character(9): The main character is funny and.. unique, I could say. She's not the smartest nor the most beautiful girl, but she's amusing and you'll find yourself rooting for her. She doesn't go fangirling the jerk who pushes her away. Then there's this cute, younger guy who likes her. Enjoyment(9): Like I said, I enjoyed reading and couldn't stop.